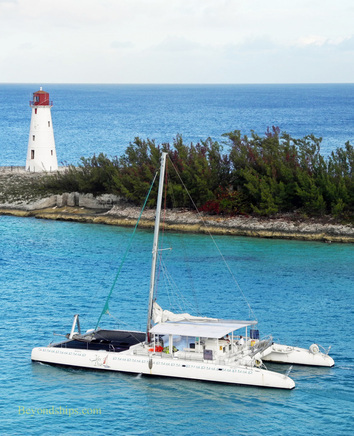 For many visitors, a visit to Nassau is all about spending some time in or by the water. Nassau's best known beach is Cable Beach. This four mile stretch of white sand beach gets its name from the fact that this is where the submarine telecommunications cable used to be landed. Today, there are five large hotels and resorts along the beach. For a fee, most will allow non-residents to use their facilities. There is also a public section of the beach. 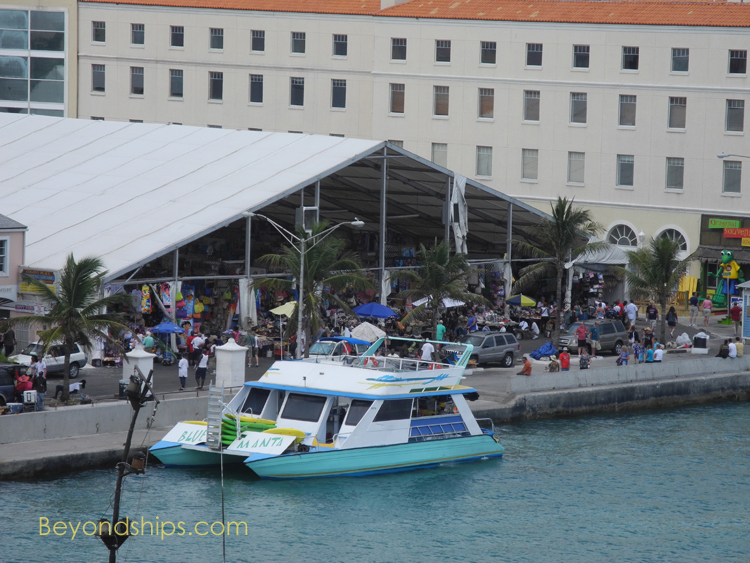 Another popular venue is Blue Island Lagoon, which is on the island of Blue Cay. In addition to a beach, it has an encounter experience where guests can swim with dolphins and sea lions. 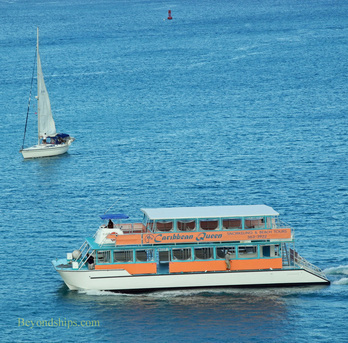 Many cruise visitors opt for the beaches and facilities at the Atlantis Resort on Paradise Island (see slideshow). 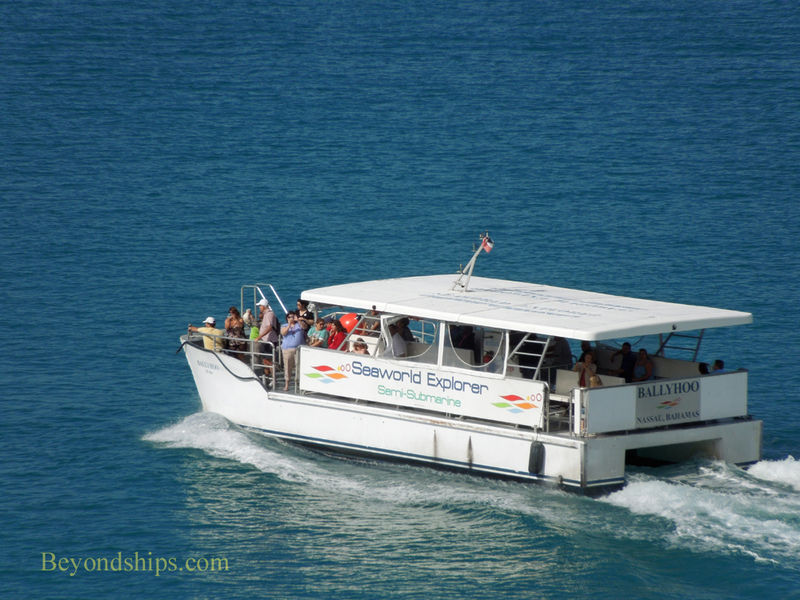 Nassau also offers numerous types of water-related excursions including glass bottom boats and semi-submersibles. 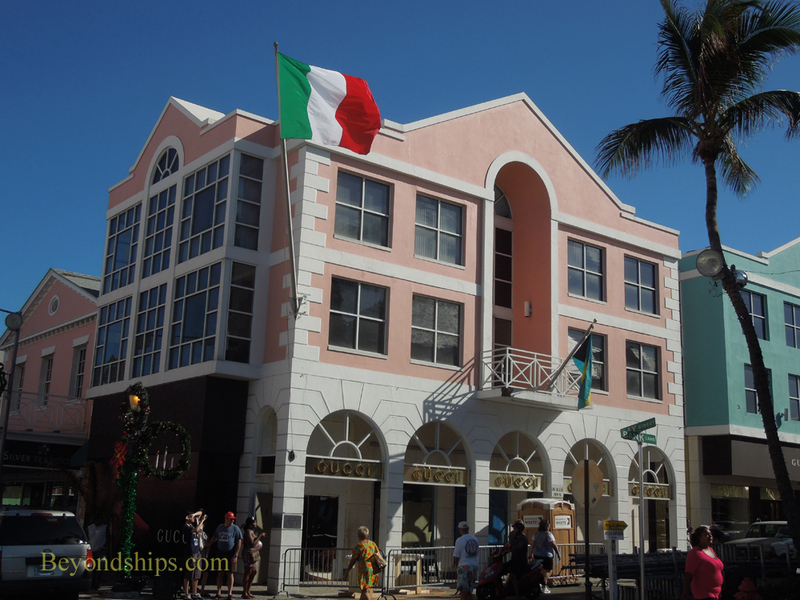 Just a short distance from the cruise terminal is Bay Street, Nassau's main street and primary shopping venue. 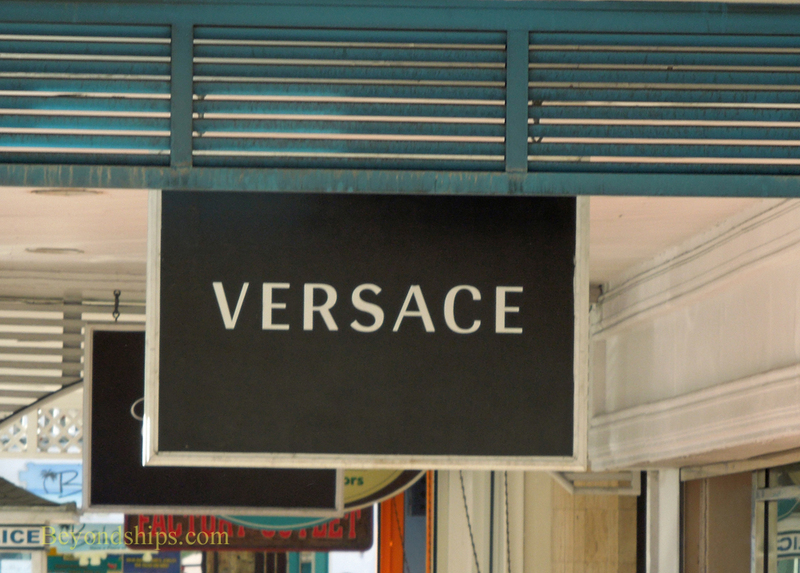 The shops are a mix of cruise port regulars and high end luxury names. It is often quite busy. 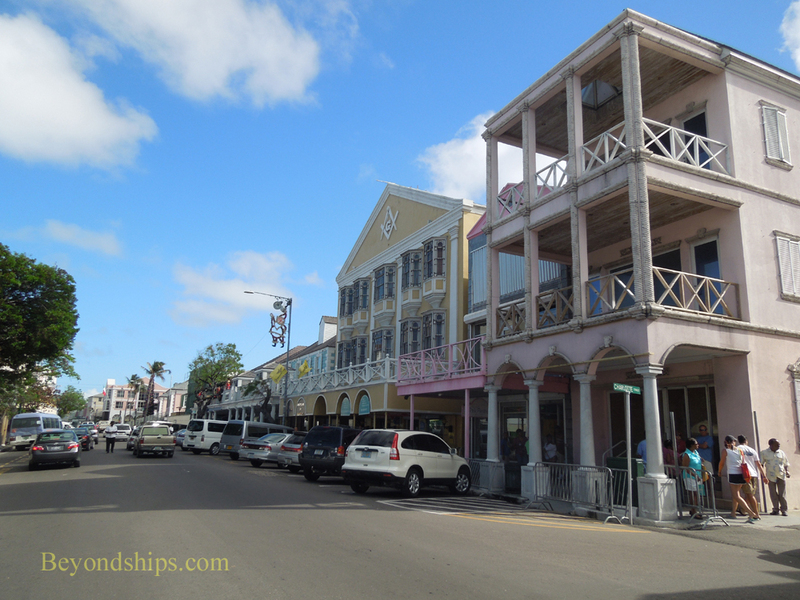 Sandwiched between Bay Street and the harbor is Nassau's famous Straw Market. 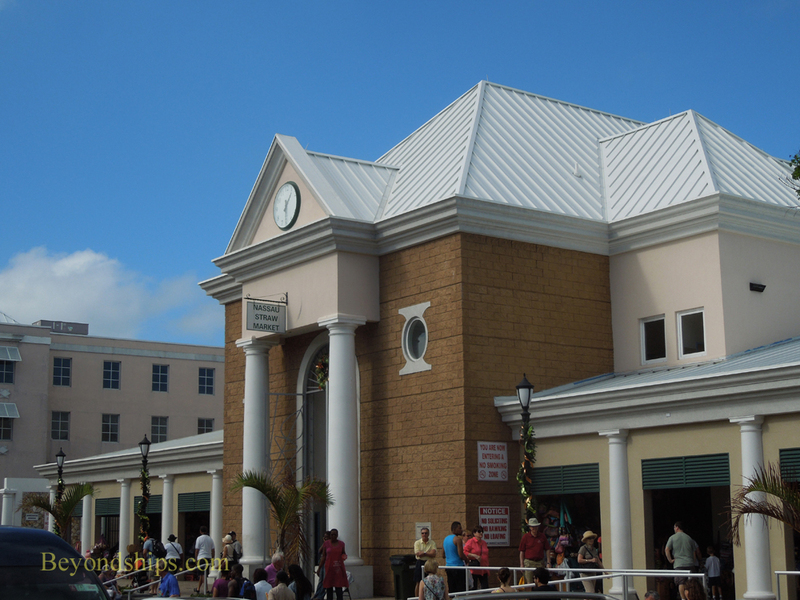 (The current building replaces one that was destroyed by fire in 2001). Inside the market, vendors sell local crafts such as straw hats, colored fabrics and wood carvings as well as souvenir items. The vendors are not shy about marketing their wares and haggling over the price is part of the experience. 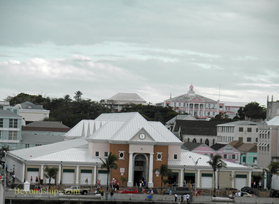 Right: An earlier version of the Straw Market and the building today seen from the harbor. Piracy was once a major trade in the Bahamas and for a time, it was a close question whether the pirates or the British government ruled the islands. 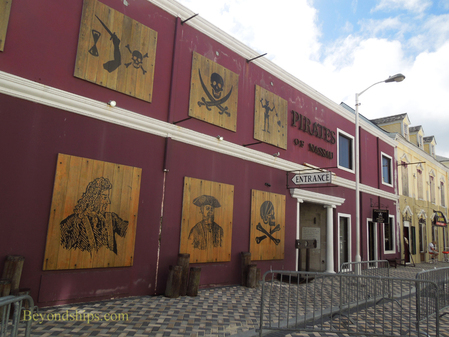 The Pirates of Nassau Museum tells the story of those times with a recreation of a pirate ship, dioramas, interactive exhibits and a few artifacts. 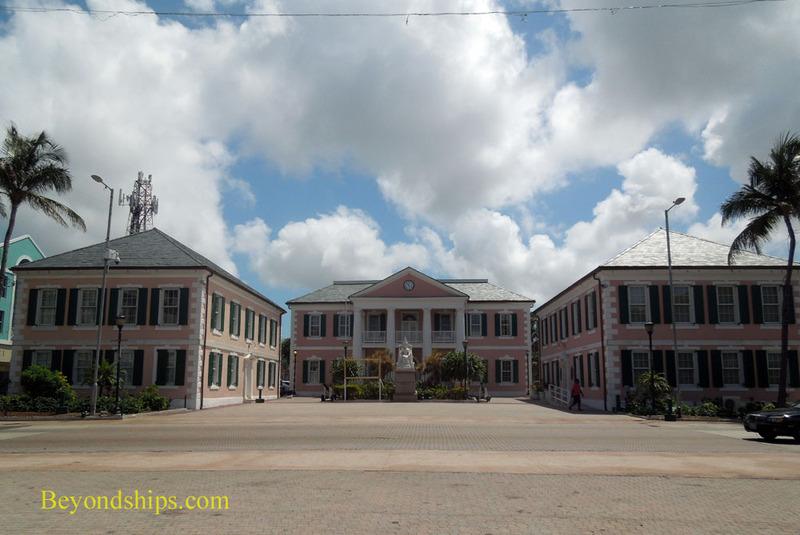 The seat of the Bahamian government is in Parliament Square. As you face the square, the building on the right is where the Assembly meets, the center building is where the Senate and Supreme Court meet, and the building on the right houses the offices of the leader of the opposition. 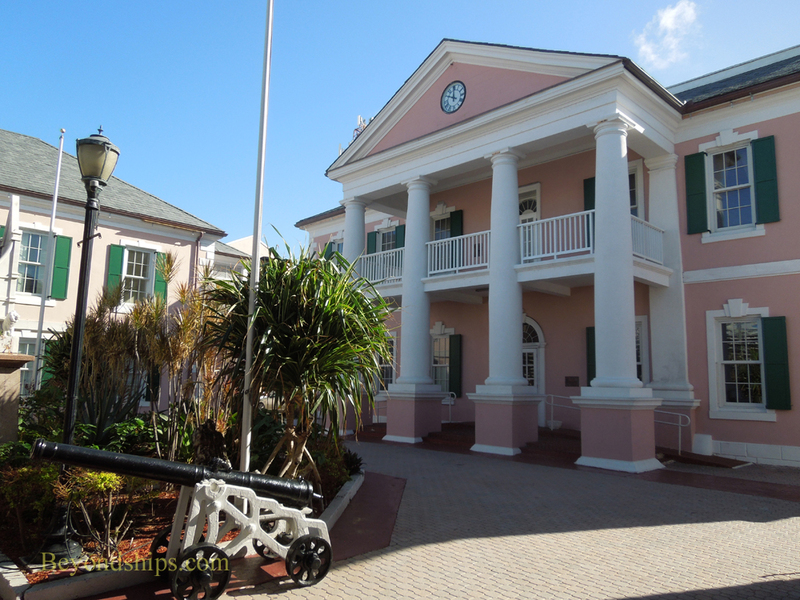 The three buildings date from 1815 and were designed after the old capital of North Carolina, reflecting the influence of the Loyalists who came to the Bahamas after the American Revolution. 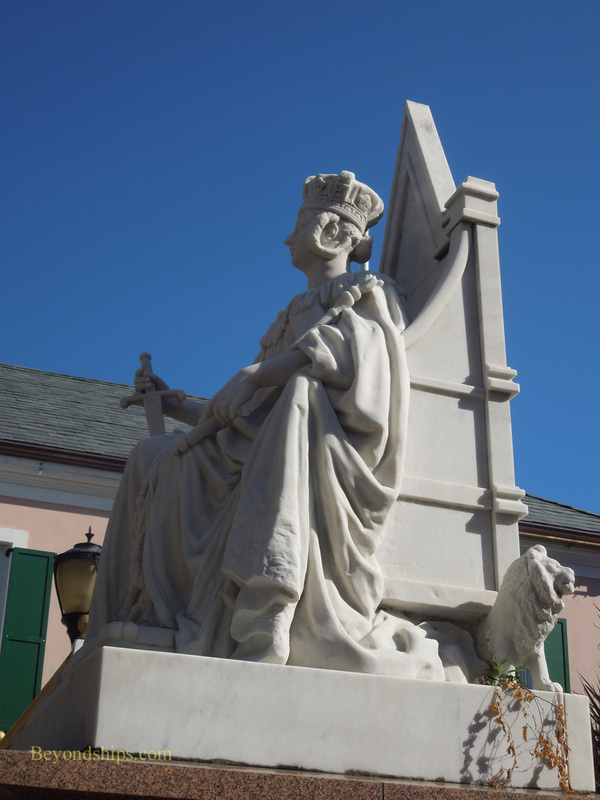 At the center of the square is a statue of young Queen Victoria. It was erected in 1905 using donations from the general public.